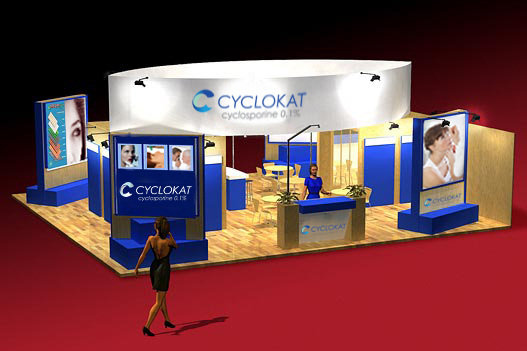 The CycloKat trade show booth is designed with a 3D perspective. The booth is an effective marketing tool from all angles. It has marketing visuals that are set above head height as well as at eye level. The color usage is brand-on and interactively connects the patron with the booth to push the awareness of the product.